Following the declaration of a level 3 emergency in Iraq on August 14th, the most severe type of humanitarian crisis, REACH has been working with the Shelter and Camp Management and Camp Coordination (CCCM) Clusters to complete a rapid assessment of households displaced by conflict in Iraq. 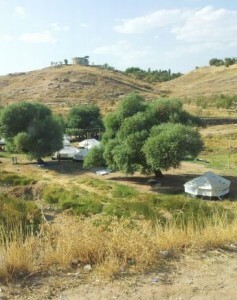 The assessment was conducted as part of REACH’s long-standing agreement with the global Shelter Cluster, and surveyed households across the Kurdistan Region of Iraq, where over 860,000 Internally Displaced Persons (IDPs) are currently staying, according to the United Nations Office for the Coordination of Humanitarian Affairs, UNOCHA. The report outlines the immediate needs of those displaced, with a focus on shelter and Non-Food Items (NFI) for winterization programming. While assistance was found to be widespread, the assessment found that few IDPs are prepared for the upcoming winter, with widespread lack of access to heating, and insufficient access to blankets and winter clothes. The need to address this will be particularly pressing for the most vulnerable IDP families, who are staying in collective shelters, camps, unfinished buildings and in the open air. The assessment findings will directly inform the Humanitarian Needs Overview, due to be released in early September 2014, the inter-agency Strategic Response Plan, and general humanitarian programming for the current internal displacement crisis in Iraq. A follow-up key informant assessment is currently underway throughout the central and southern areas of Iraq, where household-level data collection is impossible due to limitations on humanitarian access as a result of the current security situation.